Take a look at my latest project! 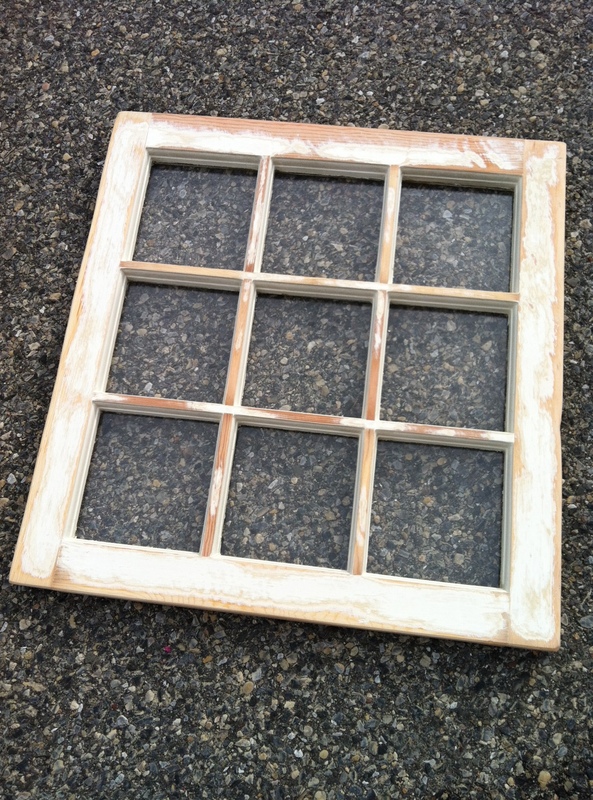 My neighbors put all new windows in their house and I took their old ones for my endless projects! 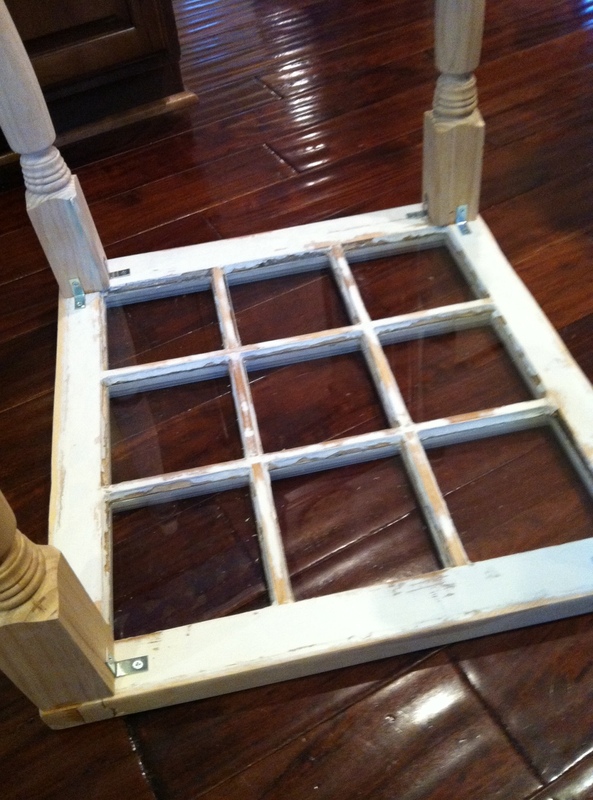 I turned this square window into an end table for my living room. 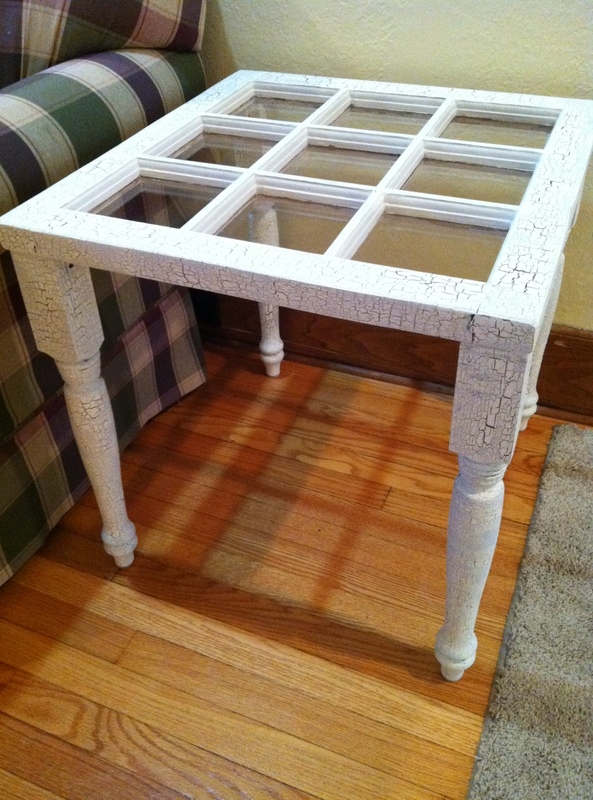 Gave the table a new “Old” look using acrylic paint and a weather crackle effect! Wow, that looks amazing! Great job! I love this! It’s amazing when someone can take an ordinary item that seems to have no value at first glance and turn it into something beautiful and function. Kudos to you for making a fantastic piece of functional art. Thanks for sharing. I’ve been very tempted to go this, but am afraid of the danger of a window breaking when used. I used Martha Stewart crackle medium from Michaels. Great idea, just be careful because window glass is very fragile, setting a drink glass on the table may break the glass if you are not very careful. Love the idea, but not the thought of cleaning those panes of glass regularly. 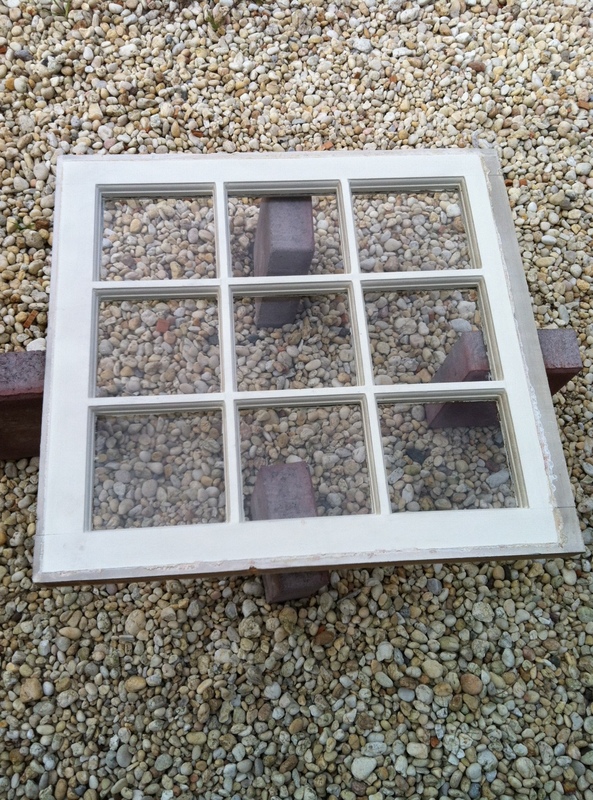 As commented elsewhere, window glass is not mean’t to support weight. Perhaps putting a piece of tempered glass on top to protect the glass (and reduce the cleaning time) might work. Regardless, very nice job! Love the idea. In trying this today! Can you please give more details on how you fastened the legs to the window? Sure! I used L brackets to fasten the legs. Didn’t look the best but I was able to paint over them so they were less noticeable! I plan to recycle windows taken out of my back garage apartment. When I start the project, would you like pix?